Here it is, my very first contribution to the world of Warhammer. 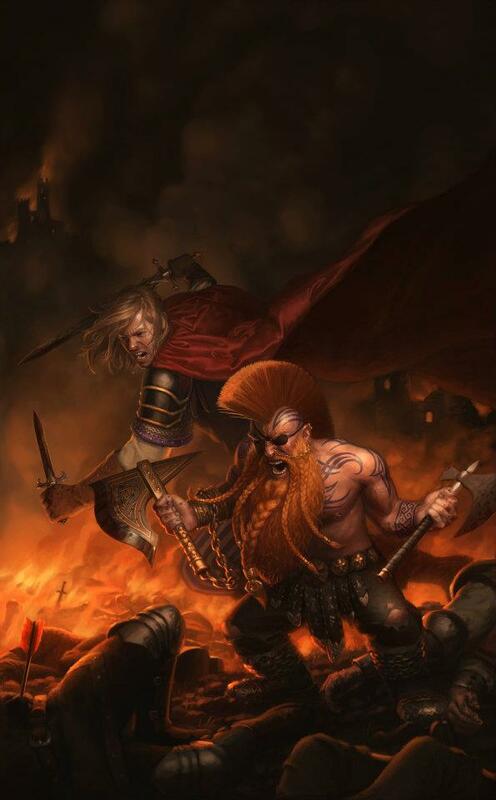 The Funeral of Gotrek Gurnisson is a short story featuring two of the most popular Warhammer fantasy characters, Gotrek and Felix. It’s very exciting to be a part of the duo’s first anthology, alongside such well-known Black Library scribes as Nathan Long and C.L. Werner. I’m also delighted to be included in the same anthology as World’s Collider writer Jordan Ellinger. Editor Christian Dunn allowed me the opportunity to pitch a story for this collection and so I tried to think a little outside the box. 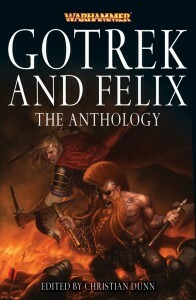 Originally this was intended to feature every character in the history of Warhammer ever to encounter Gotrek and Felix – a celebration of their history. Christian tactfully pointed out that this would result in a giant continuity nightmare, so I scaled back the plans on the guest cast. The storyline remains pretty much unchanged though. My thanks to Nathan for making some excellent suggestions. I hope the result is a fun, fast and memorable read that will appeal to newcomers and not piss off the fans too much. 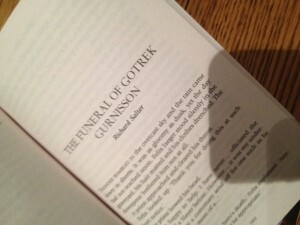 Have a read of the extract from my story, which was featured on the Black Library blog, and a second extract too! Check out the beautiful cover image by Winona Nelson in all its glory. 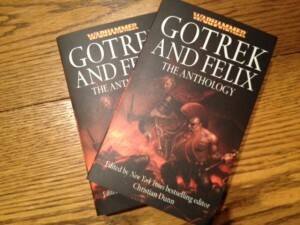 Gotrek and Felix – The Anthology is now available from the Black Library website.